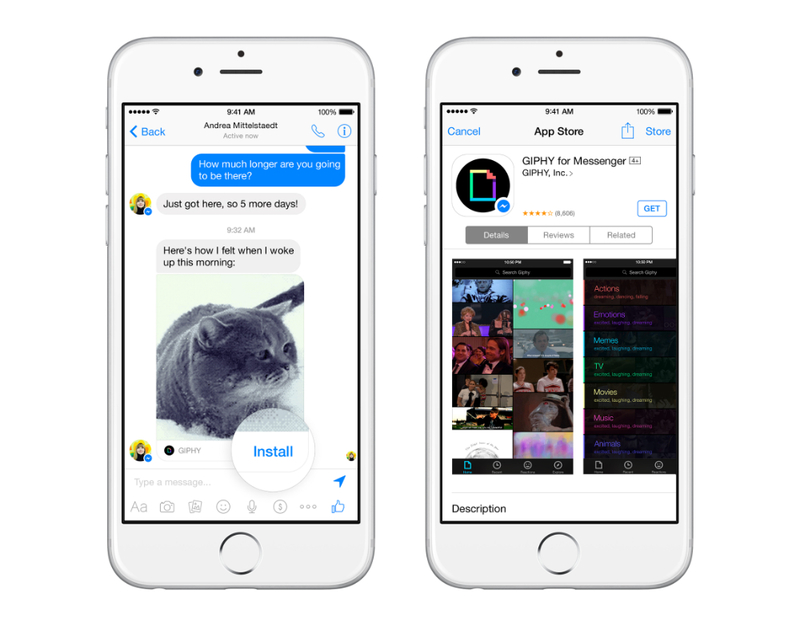 Facebook is going all-in on Messenger. Today at its F8 developer conference, the company introduced an entire platform for developers to create standalone applications that integrate with Messenger. Created to help people enhance their Messenger experience with images, GIFs, and videos, developers will upload these apps to a dedicated Messenger store. From there, users will be able to install these additional “experience enhancing” applications, then enjoy them with friends. On top of this, Facebook introduced Businesses on Messenger, which allows customers to interact with businesses through Facebook. For example, if you buy a shirt online, the company can send details and even answer questions directly through Messenger. “With Businesses on Messenger, people can have rich and personal conversations with businesses. For example, after purchasing something from a website, people can choose to receive updates in Messenger and continue their conversation with the business in the app,” said FB in their announcement. No word on when Businesses on Messenger will launch for everyone, but details will come soon, according to FB. As for the apps you can download for Messenger, those are rolling out today. And developers can start developing for it today, too.